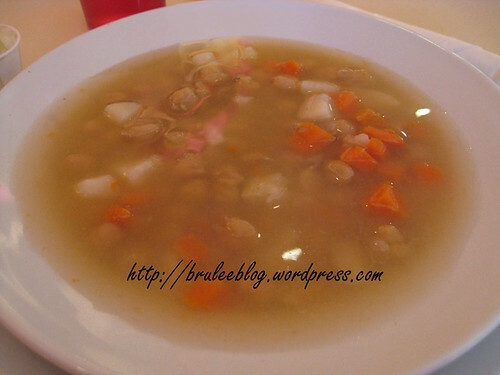 Then, they poured on the soup! Yum. Everyone at the table tasted it and thought it was good. 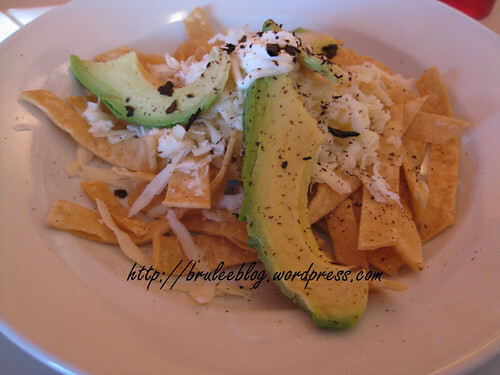 For my main dish, I ordered enchiladas o mole – five corn tortillas twisted into enchiladas and filled with chicken (a.k.a. 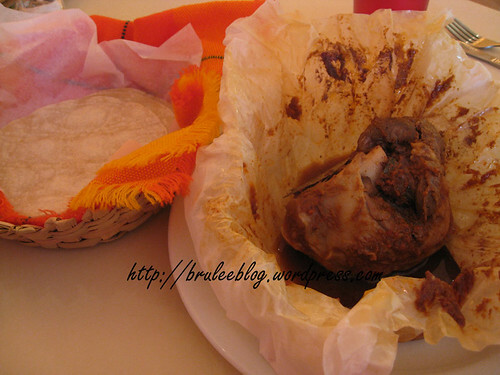 pollo), then covered with mole sauce. 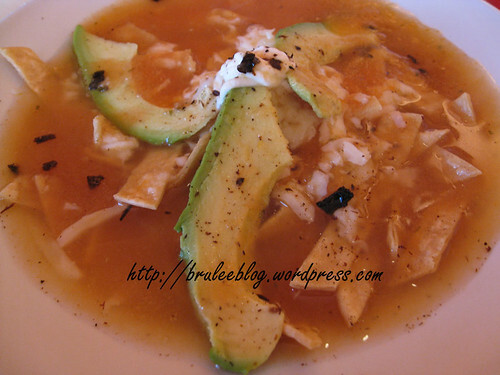 I love mole sauces, and haven’t had a good one in many years. 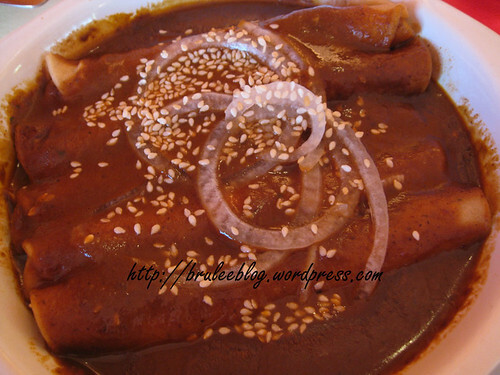 Basically, a mole sauce is spicy and savoury, and is gravy-like in texture and thickness. The taste has a hint of chocolate, but only a hint. My dish was fantastic. My friends liked it too. Now if only my friends had enjoyed their own dishes like they enjoyed mine. One friend ordered the day’s special, which consisted of a choice of two soups – lamb broth with chickpeas and vegetables or a zucchini cream, and a lamb mixiote entrée. She chose the lamb broth and found it too salty. I had a taste, and the lamb flavour was very strong. It was okay for one spoonful, but I could see how a big bowl of it would be overkill. The lamb mixiote was oven roasted meat on the bone. Tender, but I think this plus the broth ended up being way too much lamb for one person. 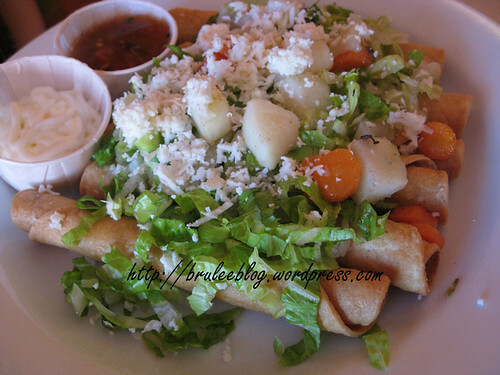 Two people ordered flautas (another name for taquitos). They were very crunchy, but were mostly tortilla. More meat would have made this dish more enjoyable. 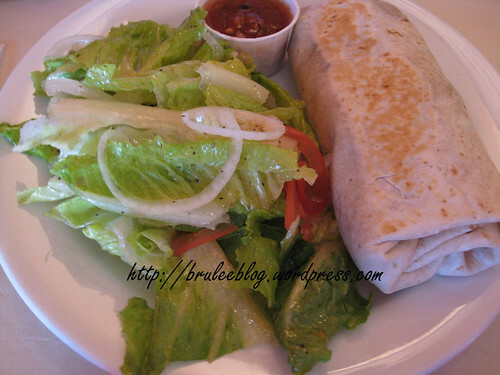 Another person ordered a chicken burrito and well, it was a burrito. Nothing terribly special. He kept looking longingly at my enchilada and saying that he should have ordered the same thing. 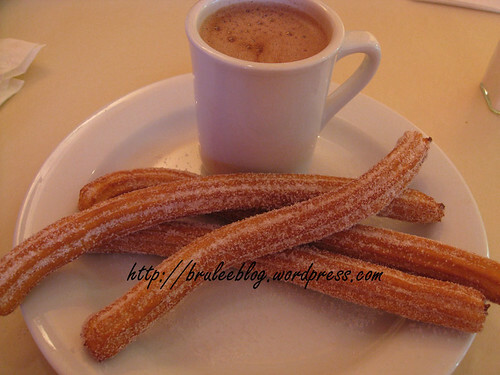 We were all quite full but the churros were tempting so we shared one order with Mexican hot chocolate. Great by themselves, and fantastic dipped in the hot chocolate, which was slightly spicy. 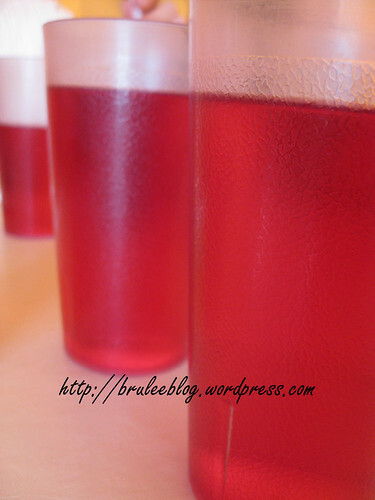 One more thing marred the evening… three people in the group felt ill after the meal. We weren’t sure if it was from delicate stomachs or if it was actually because of some of the food, but all of us tasted each others dishes and two of us (including myself) were perfectly fine. Finding authentic Mexican in Edmonton is a rare, rare thing. It’s disappointing that everyone else didn’t enjoy their meals as much as I did, but I was very pleased with my choices.